For some reason, people still make the spurious argument that the iPad is only for content consumption and, thereupon, still just a toy. However, iPad Air performance might just change a few minds. The recently released and record selling iPhone 5s is the fastest smartphone. Given that Apple’s latest handset and tablet models use the very same A7, it’s no surprise that iPad Air performance is also superlative. 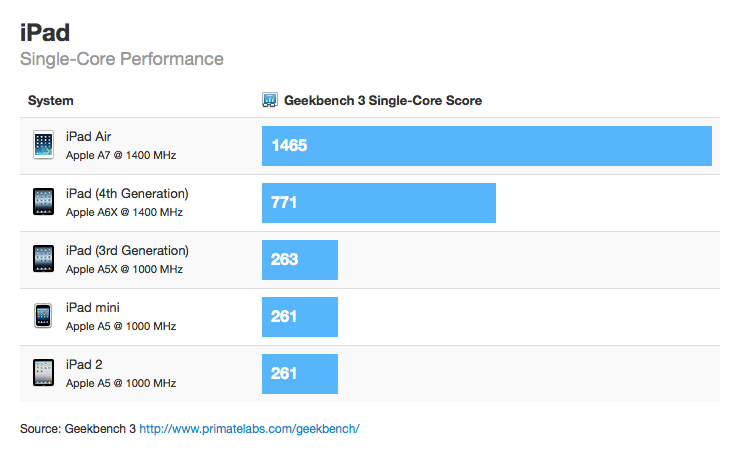 The A7 processor inside iPad Air is clocked at 1.4GHz, which is 100MHz faster than the one inside the iPhone 5s. When using the new iLife and iWork suites, performance is considerably bolstered by the 64-bit retrofits they got with their recent redesigns – everything feels faster and more responsive. 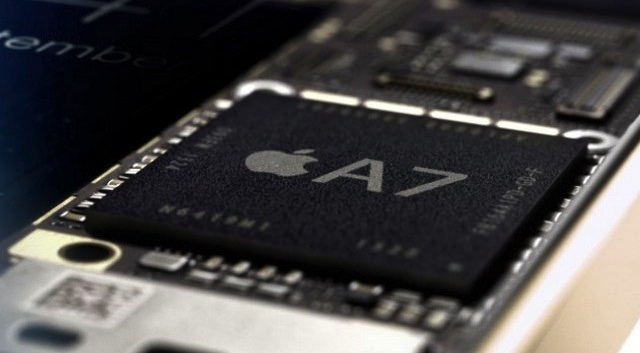 64-bit processing doesn’t mean that every app necessarily gets a 2x boost in performance over those made for the traditional 32-bit architecture used in previous iPads, but it does mean that software made for those processors will feel even more instantly responsive than it has in the past — Darrell Etherington, TechCrunch. Again, Apple’s tablet and tablet app updates of last week, as noted above by TechCrunch’s Etherington, add up to big performance advantages for users. The iPad Air, iWork and iLife updates are all about doing real work faster and more efficiently. That said, I use my iPad 3 every day to do real work — news tasting, writing, posting, image editing and social networking — do you use your iPad/tablet for real work, too?